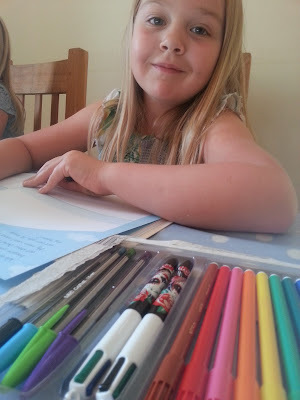 I've fancied getting the girls a music mat for some time but I'd been worried about the cacophany of noise but thanks to the new Leapfrog Learn and Groove Music Mat, there is some order, some fun and some learning applied to this musical mat. The Leapfrog Learn and Groove Music Mat is ideal for children from around 2 years to 5 years old who are just learning about counting up to ten as well as spotting and naming colours and animals. The music mat is a great way of encouraging movement as well as a fun way of kick-starting your preschooler into thinking about numbers and sounds. I like watching Holly walking through the living room, noticing the music mat and then switching it on as a bit of an impulse to have a play, a dance and a bit of fun. The music mat has three modes - one is simply an exploratory mode, each circle on the mat makes a different noise with a different musical instrument and when you stand on it, the instrument makes a short noise to explain the character or number on display. String the noises together by stepping or hopping from one circle to the other to make a little percussion ditty! In music mode, each creature on the play mat sings a little song as you dance around the mat and songs and phrases about the numbers help you to pick the different animals and sounds out. Holly enjoys this mode most. I quite like play mode because this one really gets your children thinking. The console asks you a question such as "Find the tiger" or "Jump to number 2" and your child has to step on the correct colour, number or animal to make a noise. We like the fact that the Leapfrog Music Mat folds up to a quarter of its normal size for when you want to store it. This means I can keep it in the corner of the living room so that it is there for whenever Holly fancies playing with it. The Learn and Groove Music Mat costs around £24.99. I'd recommend it for children from about 2 years old who are very confident on their feet and are excited to get learning their numbers. 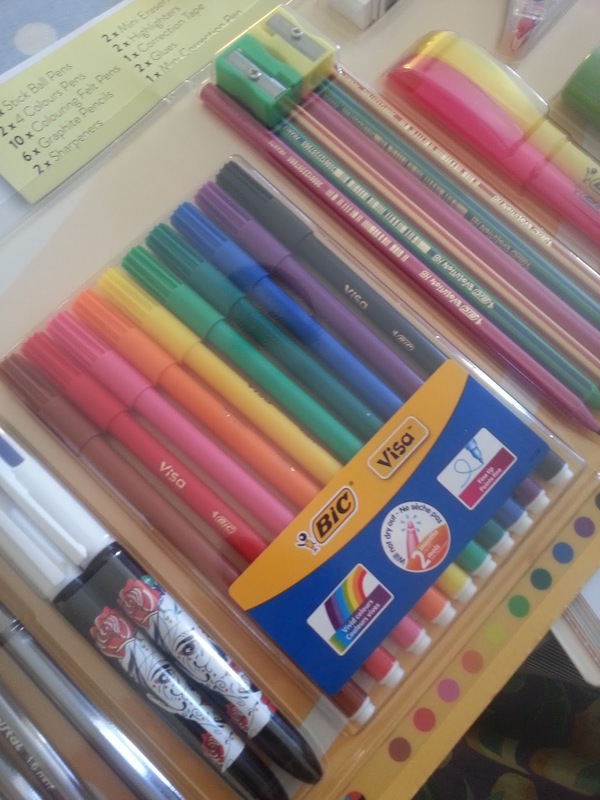 Are you ready for the new school year to start? With school uniforms and shoes to fit and new routines to think about, finding the time to choose the best books to buy may not always be a priority but new books can be a great way of starting off the school year as you mean to go on. There are lots of great educational books to choose from and Letts has some engaging and motivating learning books to help your child get back into a learning frame of mind after the long summer holiday. 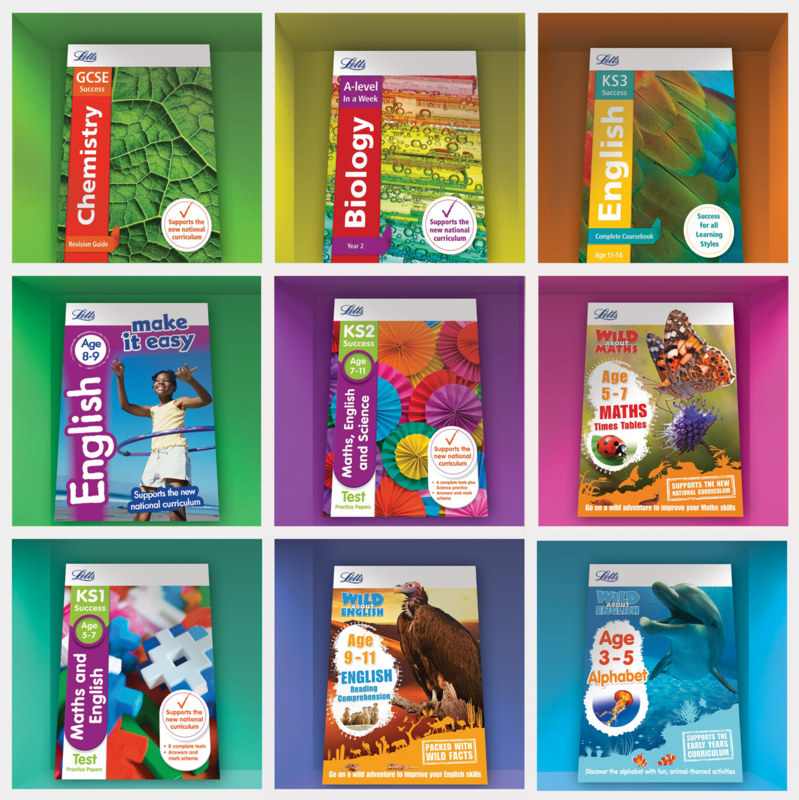 All of their books support the national curriculum so that you know they are reinforcing what your child is being taught at school, whether they are in foundation, KS1, KS2 or beyond. You can visit the Letts website to browse their range of books by age group. What’s more they are offering a 30% discount on all books until 30 September 2016 when you use code BACK30 at www.lettsrevision.co.uk. Would you like to win a bundle of Letts books tailored to your child age this Back to School? I have £50 worth of books to giveaway. To enter, all you have to do is to answer the question below and leave me a blog comment before the end of the 4th September. Question: Give an example of a prime number! 5. Closing date for entry is 4th September 2016. After this date the no further entries to the competition will be permitted. 7. 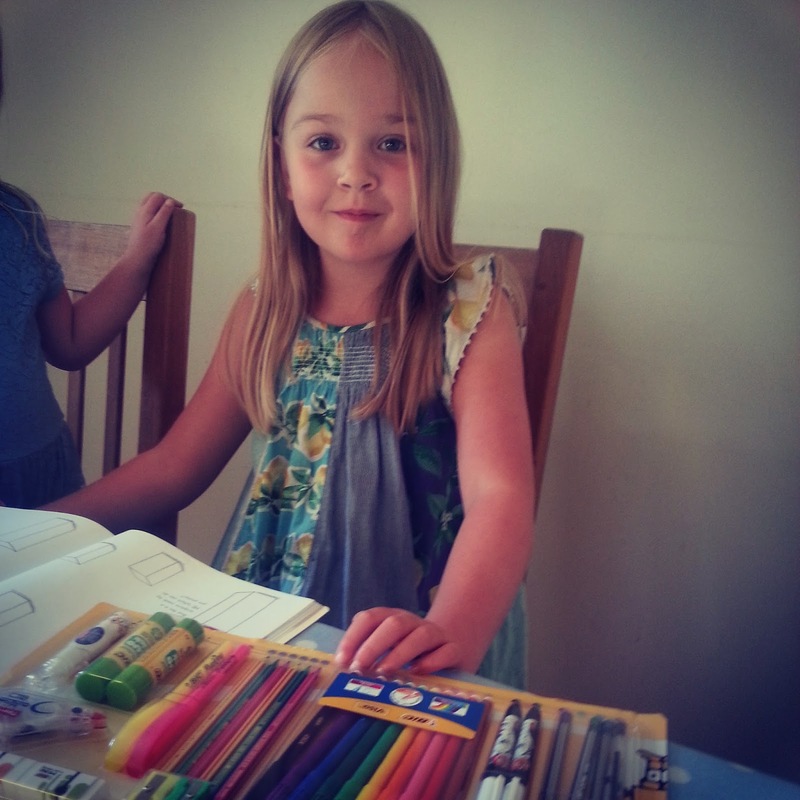 The rules of the competition and the prize for each winner are as follows: £50 worth of age- appropriate Letts books. There are very few things I enjoy more than a long, hot bath. After a run, I particularly like to extend my "me-time" with a long bath and some pampering products. My latest post-run discovery is this Mint Temptation coffee scrub from Scrub Love. Scrub Love make AMAZING coffee body scrubs - a gentle exfoliating scrub made from ground coffee and packed full of natural ingredients that help your skin recover from the hassles of every day life - they soften, polish, hydrate and exfoliate. In every Scrub Love sachet you'll find organic coffee (obviously!) and fine salt including Dead Sea Salt and Himalayan Pink Salt as well as essential oils. In the Mint Temptation Scrub Love you'll find aloe vera, tea tree oil, peppermint oil and argan oil. It's an invigorating, refreshing mix that leaves your legs, arms and body feeling amazing. A 200ml sachet like this will last a good few uses. I used just a little on each leg to help breathe life back into my legs after a running club session. The scrub felt tingly and smelled mind-blowing. That little kick of caffeine that helps your body to start to heal and recover...it felt like I had new legs. Scrub Love body scrub can be applied in small amounts by gently rubbing it into the skin. You can wash it off straight away or leave it on for 5 minutes to let all those oils work their magic. I LOVE the smell of coffee, and mint and it left the whole house smelling amazing. A few hours later though, Mr. B. was complaining about the smell of coffee so I've promised to only use it shortly before bedtime from now on! I did have to give the bath a good clean after using it...it is quite surreal to wash the scrub off and see a whole sea of coffee around you. I'm a total convert to Scrub Love. My legs have never felt better - refreshed and smooth. Scrub Love 200ml resealable sachets cost from £11.95. Next time I've got my eye on the Coconut Affair flavour. Yesterday I took a day off work for a fabulous day out in London with Lara. It was a fun adventure exploring the fascinating world of the City of London complete with #BFGDreamJars , sightseeing, lunch with a city bigwig and a trip to the special Fire! Fire! exhibition at the Museum of London. We started our journey with a tube to London Bridge; we walked across the bridge with wonderful views of the Tower of London, Tower Bridge and the old ports of London. Then we took a look at The Monument - a dramatic tower with a golden top built to remember the devastation of the Great Fire of London in 1666 and located at the edge of Pudding Lane, the place where the historic fire originally broke out. Next, we wound our way through the streets of the City of London, past the Bank of England and the Royal Exchange to St. Pauls cathedral and up toward the original city walls where you'll find The Museum of London; a free family museum with exhibits to chart the rise of London from prehistoric times, right up to the present. 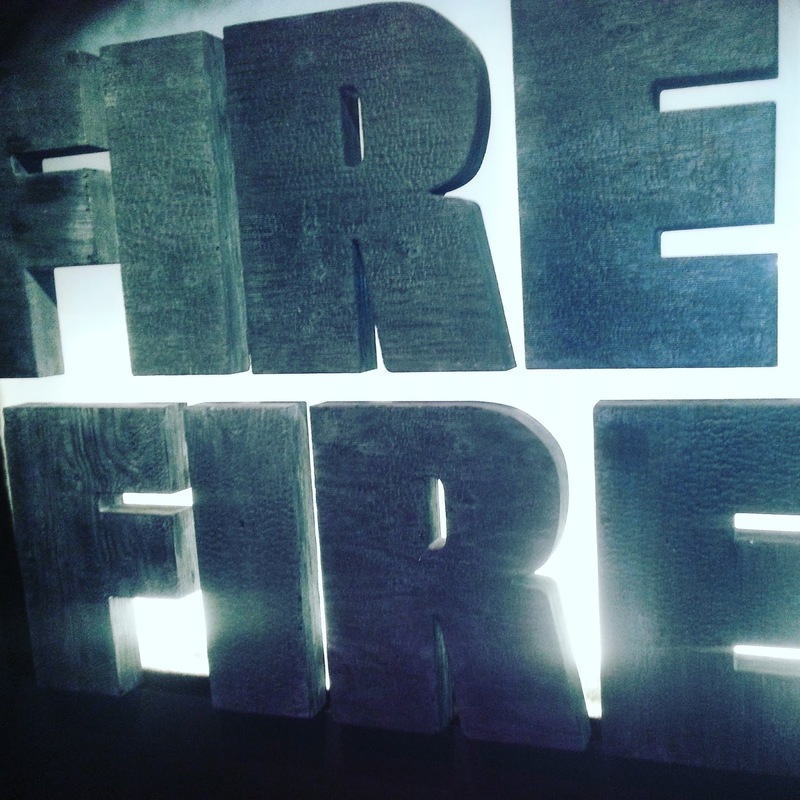 We had come to take a look at the special exhibition - Fire! Fire! which is on display at the Museum of London until April 2017. Fire! Fire! is an interactive exhibition suitable for families which details the events leading up to the Great Fire of London, how the fire unfolded, and how London was rebuilt afterwards. 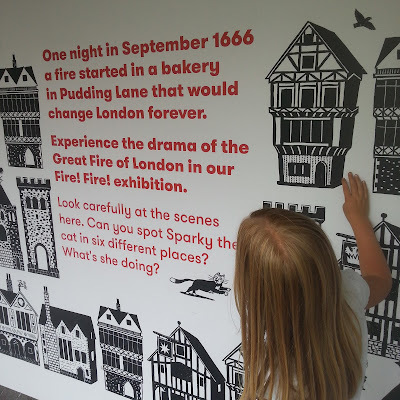 It was particularly interesting for Lara who had learned about the fire earlier this summer as part of the KS1 curriculum and I believe it also features in KS2. The learning opportunities at the museum were endless and yet Lara found it fun, engaging and inspiring - she whizzed from exhibit to exhibit with frantic enthusiasm, taking it all in. 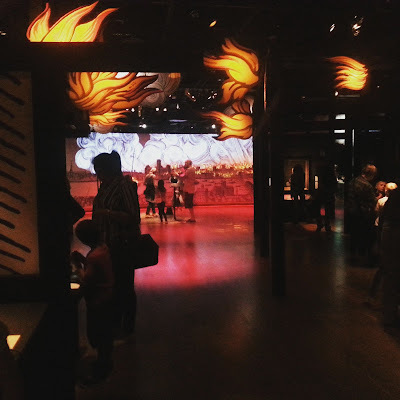 From the moment you step into the exhibition you are transported back in time as you walk through a dark, narrow corridor with overhanging wooden buildings, shadow puppets behind the windows setting the scene. You're taken through the bakery in which the fire started and you can read about the different reasons why the fire took hold. Next, a giant loaf of bread on which you can see the map of the city and how the fire burned through the streets. We enjoyed the main hall where the sounds and smells of the city really set the scene. In this room there were lots interactive displays here - the chance to try and pack all of your belongings into one heavy wooden trunk, microscopes and magnifying glasses to see the effects of fire, up close, dressing up clothes to allow you to dress as a 17th century Londoner or even a fireman, and a touch-screen game where you could fight the fires yourself. In a darkened room with flickering flames and orange lights it was all very atmospheric. I was pleasantly surprised at how engaged Lara was with the detail of the museum - she found the time and patience to read the plaques and listen to audio descriptions of accounts written at the time and seemed genuinely fascinated to find out how it is we know so much about something that happened 350 years ago. In the final area of the exhibition we learned about the politics surrounding the rebuild of London after the fire, and the blame game that followed. 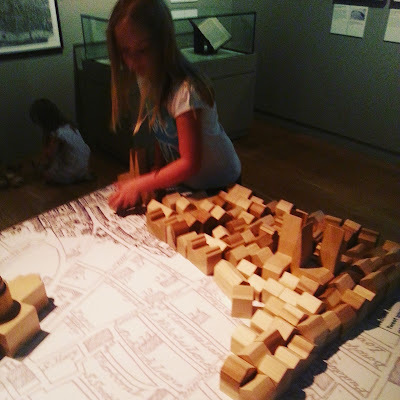 Lara was less interested here (other than the chance to use building blocks to rebuild the city in her own design). I don't think it was until a couple of hours later, as we walked around St. Pauls Cathedral (about a 5 minute walk from the museum) that she really understood the rebuild effort, and the extent to which London has changed since the fire. I thought that Fire! Fire! was a great exhibition and we both enjoyed it - we spent about an hour in the exhibition and could have spent many, many more hours in the rest of the museum galleries. The Fire! Fire! exhibition at the Museum of London is open until April 2017 with off-peak children's tickets from £4 and adults from £8. The museum itself is free to enter and explore. 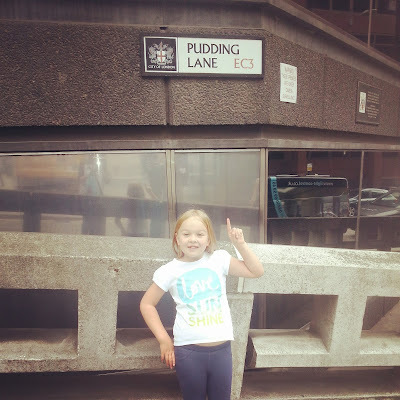 Lara also particularly enjoyed learning about Roman London (Londinium) and how the Romans lived and settled on the banks where the city then emerged. It is four years since I wrote a review of a Leapfrog bedtime lullaby toy; we've used our Twinkle Twinkle Little Scout almost every single evening for over four years now - we even take it on holiday. I've searched high and low for an equivalent to send to my sister as a gift and finally Leapfrog have brought out a new bedtime toy for preschoolers - the brand new Scout's Goodnight Light from Leapfrog. I'm very excited. Scout's Goodnight Light is part toy, part bedtime lullaby player. It comes in the shape of a space rocket featuring Leapfrog's Scout and Violet puppies. The toy acts as a night light that projects coloured numbers or brightly coloured planets and space shapes onto a darkened wall or ceiling. It plays music, games ideas and lots of short fun phrases that encourage learning about numbers, colours and space. 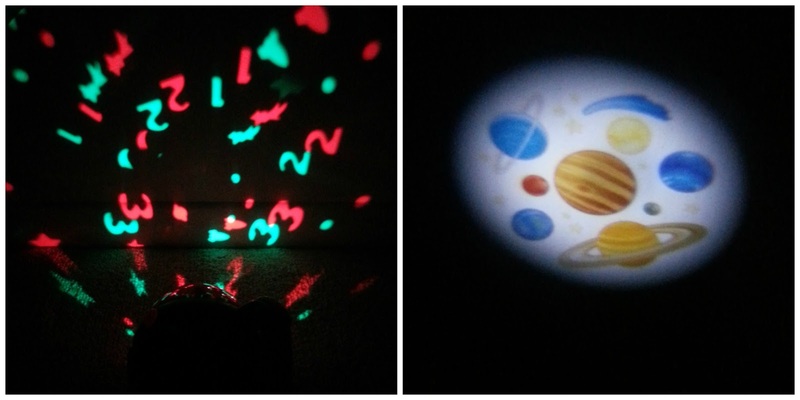 The Goodnight Light comes with a handle so it is easy for you to carry around the house or for little hands to carry when they want to project images in the dark. We use the Goodnight Light from Leapfrog for playing lullabies to the girls when we want them to settle down for the night. The music features lots of Leapfrog classics that you may recognise if you have a cuddly Scout friend of your own as well as a mix of lullaby classics. The music isn't as gentle or soothing as I'd like (in fact I'd say it was a bit loud even in the quietest mode) but the music really does help the girls settle. You can elect for the music to also be accompanied by soothing lights - either solar system or brightly coloured numbers; these change colour and brightness as the timer counts down. You can choose 10 or 20 minutes of music and we find 20 minutes is about right for our girls at present. Holly really enjoys Scout's Goodnight Light; it is the last thing she hears at night and when she wakes up, the first thing she does is hide in her wardrobe and play with it; pressing the button to listen to music and see the mesmerising lights; she really is taken by it. As well as music, the Goodnight Light will play environmental noise (we used to find this good when the girls were tiny babies) and solar noise (effectively white noise) which is ideal for newborns. 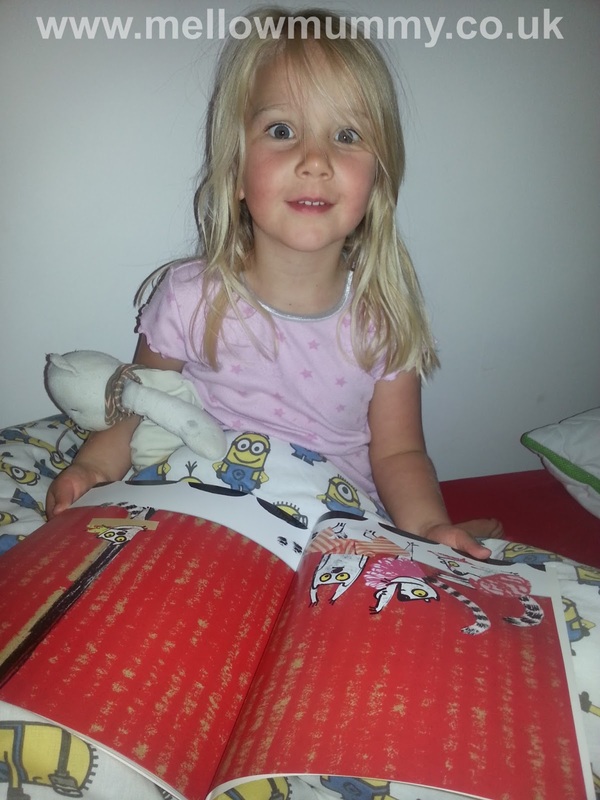 I think it's a fabulous bit of kit which is perfect as a bedtime lullaby player from birth, right through to preschoolers like Holly. 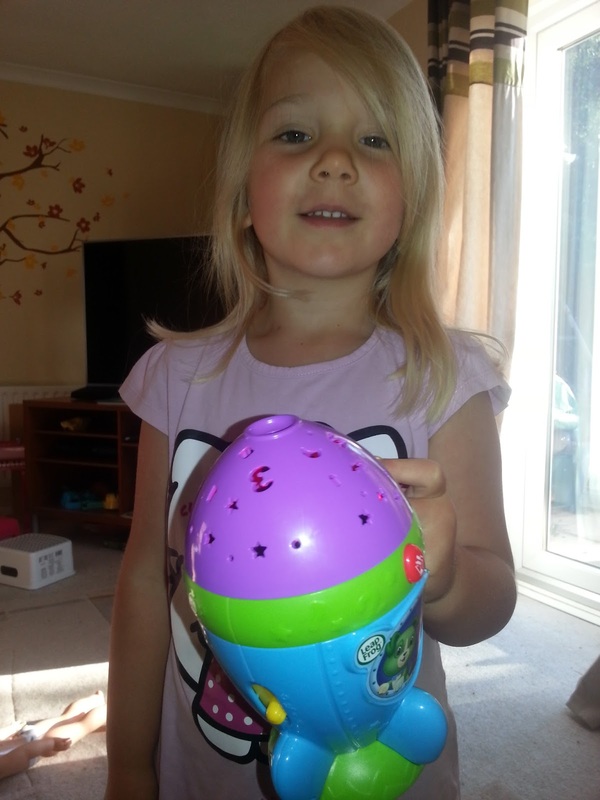 Scout's Goodnight Light costs around £9.99 from the Leapfrog Store. This weekend Lara and Holly made their own sushi using a wonderful set of Japanese ingredients that were supplied to us by Yutaka to demonstrate just how easy it is to make your own sushi at home. Until July, none of us had ever tried sushi at all - most of us aren't keen fish eaters and sushi does often tend to feature fish and seafood but the word "sushi" means simply sweetened seasoned rice so, when you make it at home you have the freedom to add to it whatever you wish. Yutaka sent us some sushi rice which we cooked and cooled and then Lara seasoned it with a mixture of rice vinegar, sugar and salt. 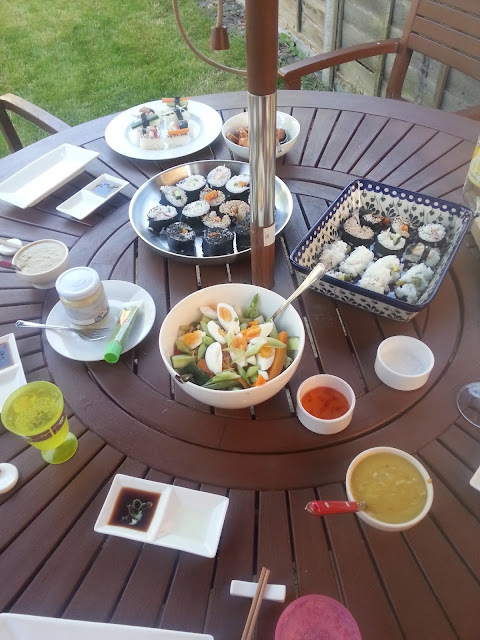 After that, both Holly and Lara got their sleeves rolled up and started to construct us a feast of vegetable and chicken sushi. 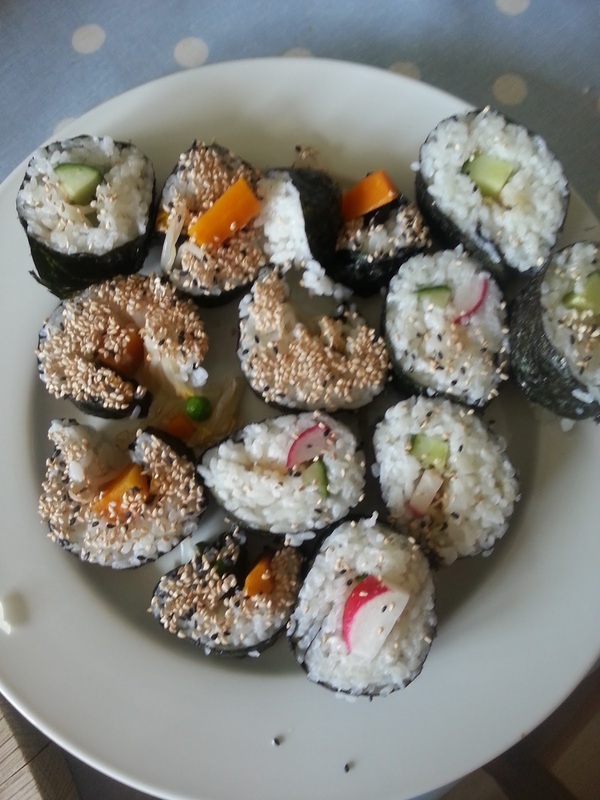 Lara very quickly got the hang of using the Yatuka rolling mat with a sheet of nori seaweed to make sushi rolls filled with steamed carrots, beans, beansprouts and radish. The nori smells quite strong and looks really delicate but in fact it doesn't taste as strong as we had imagined; it's a superfood with lots of acknowledged health benefits - packed full of nutrients and dietary fibre, improves bone and dental health, is high in iron and rich in protein. Holly got busy making nigri sushi which are little bricks of rice which you decorate with one or two pieces of protein or vegetable; you can hold the decoration in place with a strip of nori. Yutaka sell a special plastic device which makes it easy to mould the little rice blocks - you pat the rice into the mould, press it down and then gently press them out again (or bang them really hard like Holly chose to). Holly enjoyed dipping these little rice parcels into roasted sesame seeds; watching her do this reminded me of watching her decorate cupcakes! The sticky sweet rice was really hard to manage - it just got everywhere! When the girls had finished, it took me quite some time to clear up all the grains of rice, pieces of seaweed and rouge vegetables but the finished product looked really quite impressive. To complete our dish, Lara created a homemade teryaki sauce using japanese soy sauce and mirin (a recipe on the back of one of the Yutaka bottles). We used this to marinade two chicken breasts which I think fried and sliced thinly. To serve, we put the remaining vegetables in a bowl with some spring onion and boiled eggs and served our sushi with dipping vinegar, soy sauce and a japanese curry sauce that Mr. B. made. 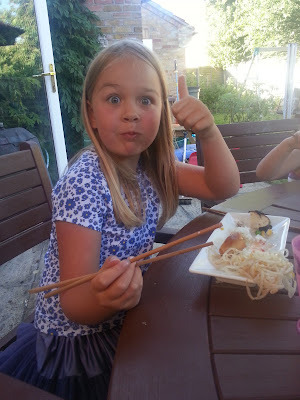 The girls both very much enjoyed the sushi and teryaki chicken. Both girls even enjoyed trying out the pickled ginger which you use to cleanse your palette. Lara, who is a big fan of spicy food, even tried out the hot wasabi paste - I think she was fascinated by it, but she chose not to go back for more! 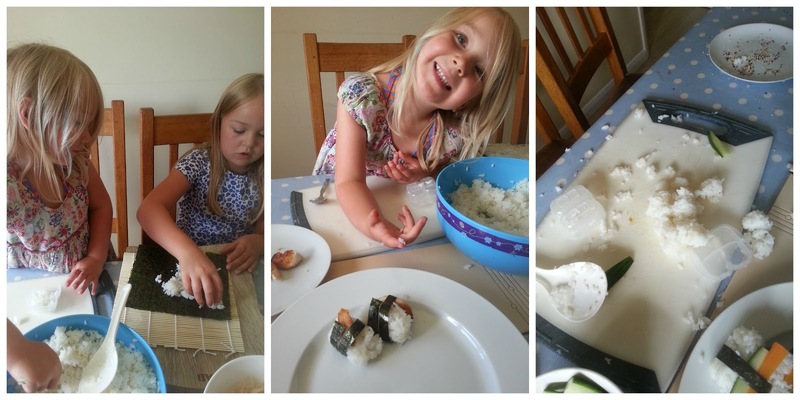 We had great fun making sushi; it's a fun, healthy food that the kids can get really messy joining in with.